Head into our a la carte Bistro, Cafe and Sports Bar for our Seniors Meals. 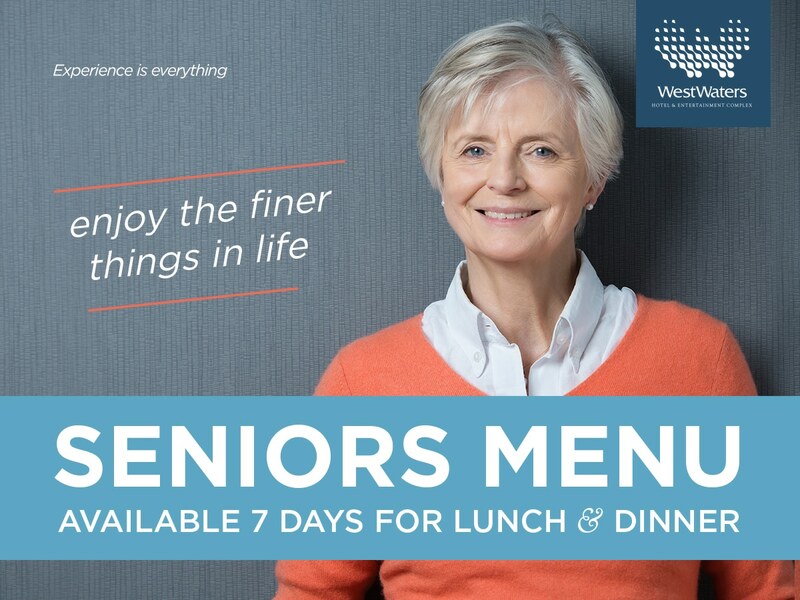 PLUS dine on our Seniors Menu for lunch in our award winning a la carte Bistro and receive a $5 venue voucher. Not valid with any other offers, discounts promotions or vouchers.